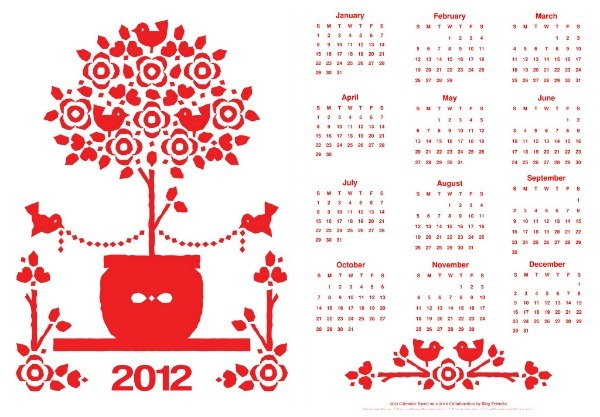 Bag of pretty: Happy 2012 + get your calendar! 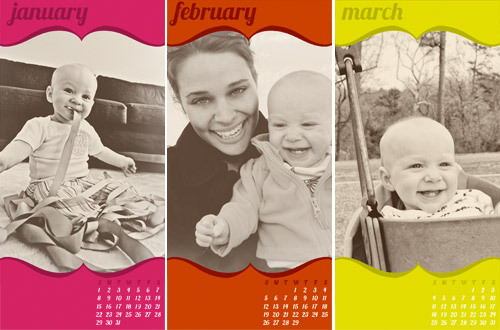 SMILEBOX has loads of designs you can customize with your own photos. 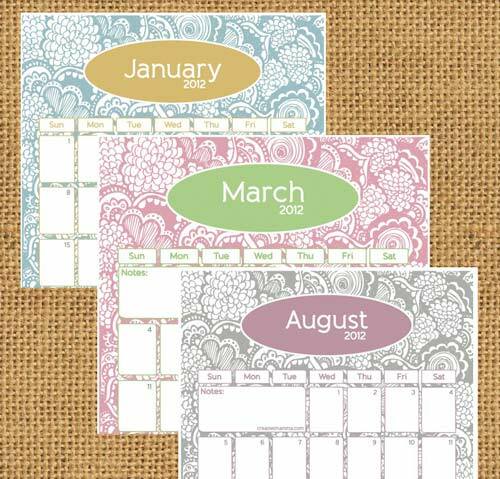 Year at a glance calendar, laminate and write on it with whiteboard marker, from clementine creative. 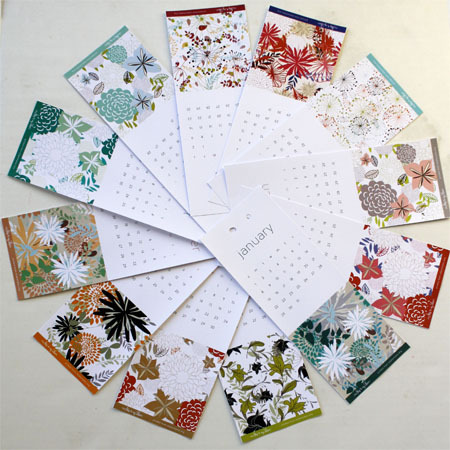 Living Locurto has two calendars for you. A table top one from the pic below, and a vintage floral one to frame. 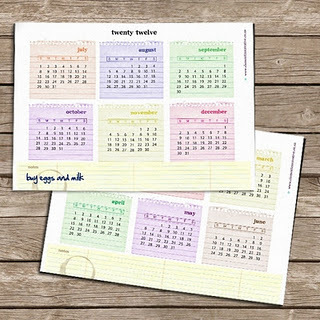 You can download a super cute write in calendar from Creative Mamma. 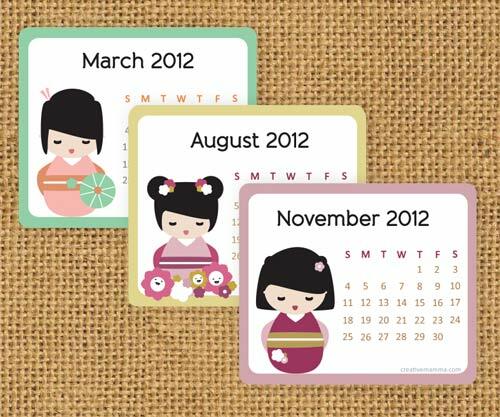 She also has a Kokeshi Doll themed mini calendar, if you need something for your wallet. Dollar Store Crafts provides a tutorial and a printable for a Tea Towel printable, just like the ones our grandmas had hanging in their kitchens. A pretty one by Chibi Run, A Vintage fashion one by Dingbat Press, a vintage Paris calendar by Call me Victorian, if you are into herbs go to a number of things. My absolute favorites are still the owls from My Owl Barn. 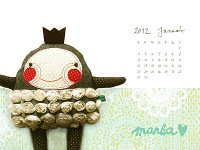 UPDATE: If you need a cute desktop background, please check out vattacukorhajú lány and her beautiful Manka dolls. 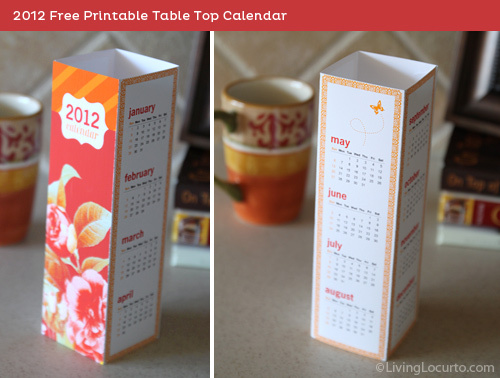 She will be posting one background with calendar for every month in 2012.